An exotic sea cave has been formed above the water line approaching Gerakias cape. Accessible only by boat or water taxi it is an interesting landform offered for unique adventures. Walk into a shallow turquoise-jade pool of water and explore the majesty of the sea. 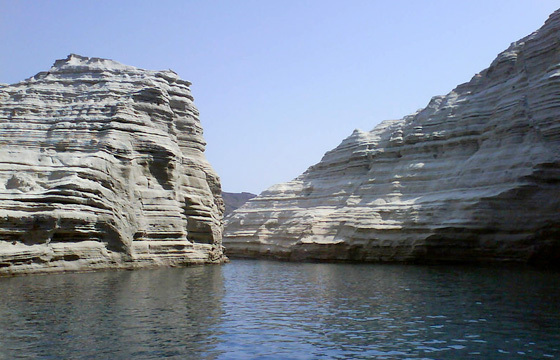 This enchanting area is also suitable for swimming and boat diving excursions depending on the weather conditions.